Why do You Need to Remove Pokeweed? Pokeweed might be beautiful to look at. But little does everyone know that 90% of this plant is considered toxic to animals. Pokeweed is a perennial plant with distinct features like green flowers and blackberries. This kind of weed grows fast and it can multiply in numbers. Pokeweed is not all that useless. Some people actually use some parts of the weed as herbal medicine and food. Careful preparation is required to process this plant. This is because most of its parts are toxic to humans and animals. The most toxic part of a pokeweed is its roots. Consumption of the roots of this weed would kill any small animal. Children are no exception to this as one bite could send them straight to the hospital. This is why knowing how to get rid of pokeweed is important. Pokeweed can be dangerous to your family and pets. If this reason alone is not enough to convince you, we still have other reasons up our sleeves. You might be wondering what other reasons why pokeweeds need to be removed. Here are some other reasons. Pokeweed can invade your garden. As a gardener, this might be the main reason for you to pull out those weeds. Pokeweed can grow exponentially from a small group to a massive patch itself. If you happen to leave this weed unattended, it will swallow up your garden. Another reason to remove this weed is that it eats up all the good soil of your plants. Pokeweed is not contented with invading your garden. Given the chance, they will eat up all of the nutrients in the soil until your crops run dry. This will greatly affect the growth of your vegetables. Now that you know what pokeweed are and the importance of removing them. 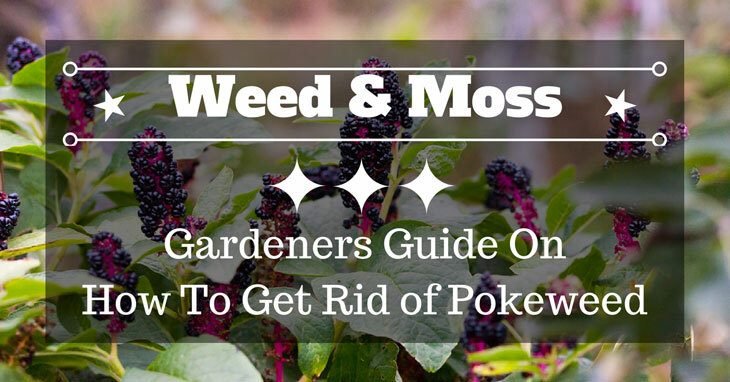 It’s time to know the different ways on how to get rid of pokeweed. There are different methods that you can try to remove them. Some might be hard while others are easy, choose the one that best fits your style. The best way to eliminate these weeds is by removing them manually. Manual labor might seem tiring but you could save a lot of money by doing this. Manual pulling is an effective way of eliminating small patches of pokeweed. Equip yourself with the gardening gloves and prepare the garbage bag by your side. Grip the base of the pokeweed and pull it straight up. If you find it hard to pull out, you can always loosen the soil by watering it. Water the pokeweed and leave it for a few minutes before uprooting it. Place the weed inside of your garbage bag for disposal. You will notice that when you remove the pokeweed some of its roots are still attached to the soil. Use your garden shovel to dig out the remaining roots. Removing the roots is important because if you don’t new pokeweed will grow from that root. If you’re having a hard time digging it out. You can use your hand trimmers to cut the roots for easy pulling. You can dispose of the pokeweed by throwing it together with your trash. Or you can munch it and burn it together with your dried leaves. Using it as a fertilizer is a bad idea because some roots might still find a way to grow. Using herbicide is the easiest way of eliminating this weed. There are a lot of herbicide that’s dedicated to eliminating pokeweed. You can buy them online or at your local gardening stores. Be careful though because this method of eliminating weed is dangerous. Prepare the herbicide and read the instructions before using it. Some herbicides require you to add a certain amount of water to dilute the substance. Make sure that there are no children or animals around before you start spraying. Put on your gardening gloves and identify your target weed. Spray ample amount of herbicide on the weed. Don’t overspray it because this substance is toxic and it might spread to places where it doesn’t need it. The next step is to wait for it to take effect. Depending on the brand of herbicide that you’ll use. The process will take a few hours to a few days. After the pokeweed has dried out and died, use your shovel to dig out the dead weed. 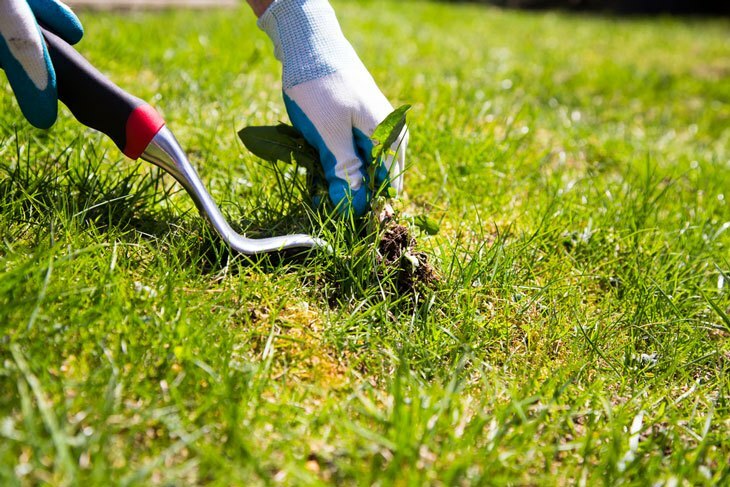 Use your gardening hoe if the soil is hard to break and remember to use your gloves. After taking out the weed, dig up the remaining roots of the pokeweed. The roots might still be able to procreate because of its impressive survivability. Throw it together with its body and dispose of it, you can’t use the weed for fertilizer. This is because it's infected with herbicide. This unorthodox method of killing pokeweed is only useful when there is a massive patch of weed. There are risks involved in using this method of spreading wildfire. That’s why careful control is needed for this method of eliminating pokeweed. 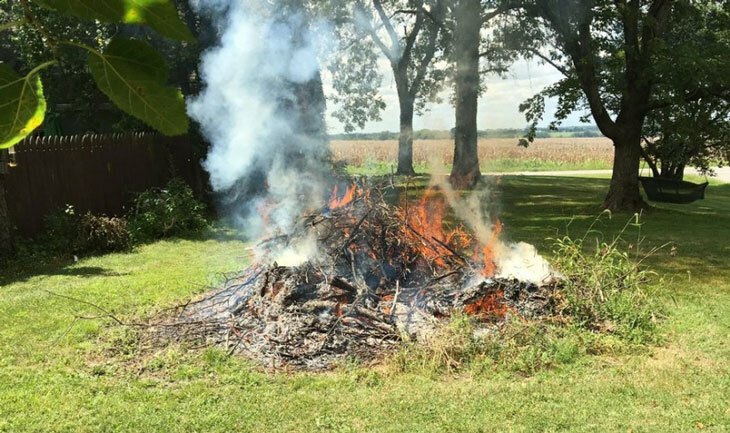 Find a pokeweed infested patch where you can start your fire. Place dead leaves over the pokeweed and pour a little kerosene. Light the dead leaves to start your fire. Remember to put only a little amount of kerosene because if you put a lot it might spread. Control the fire by watering the area around the fire so that it will not spread. This is important because you don’t want the fire to spread to your other plants. Put out the fire if the weed is burnt down to a crisp. After burning the pokeweed put out the fire and proceed to dig up the burnt weed. Use your shovel to dig up the dead pokeweed. If there is debris on the soil, use the rake to get rid of them. Throw the burnt weeds inside of your garbage bag. Pokeweed might look good to look at but if you’re a gardener this lovely weed is just a nuisance to your crops. There are other ways that you can use to eliminate this pesky weed. With a little time and research, you’ll eventually find other ways. If you’re planning to use the herbicide method. Remember to use it only away from children and pets. Avoid using this method as possible because herbicide is toxic to people and animals. Keep it out of reach of children and animals. If you’re new to this, we recommend that you try the hand pulling method. This method is really the best and easiest for beginners to try. There is no danger to you or to your surroundings. The only downside to this method is that you might want to repeat it. Choose the method that best fits your style and remembers to be careful always. Pokeweed might be hard to kill but this doesn’t mean that you cant get rid of them completely. If you don’t act now the pokeweed will invade every part of your garden. Remember to follow the instructions so that you’ll be able to remove the pokeweed on your yard. So did you like these tips? If you do, please share the article with your fellow gardeners. These are just some ways on how you can eliminate pokeweed in your garden. Comment below on what you think is the best way to eliminate pokeweed.